The beloved Church Basement Ladies are back and getting busy with life outside the kitchen. Introducing “Church Basement Ladies: You Smell Barn,” the seventh installment in the popular Church Basement Ladies series. The new show finally answers the burning question: What do Church Basement Ladies do when they’re not in the basement? After the last of the hot dish is served, the coffee pot is emptied, and the JELL-O molds are put away, the steadfast, sturdy Church Basement Ladies head home to their farms, peel off their good girdles and get on with their daily chores. With plenty of crazy antics, loads of fresh laughs, and spanking new original songs, “Church Basement Ladies: You Smell Barn” celebrates rural life in the 1950s and introduces the other lovable folks who inhabit the rural community: Earl, who delivers the mail up and down Rural Route One; Fergus, the hired man; and Tillie, who chronicles the action for the Fish County Weekly. 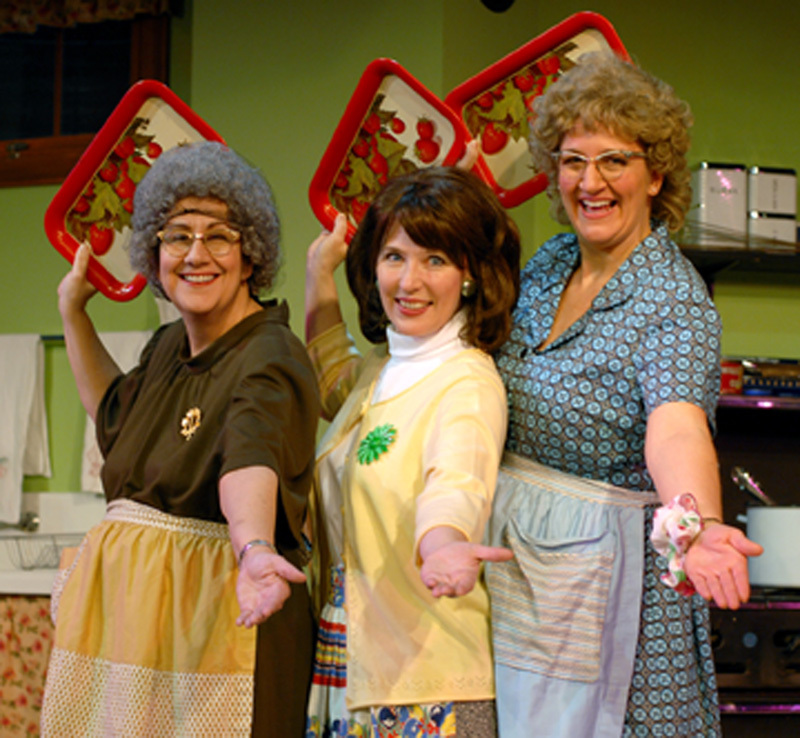 And, at the center of it all are everyone’s favorite Church Basement Ladies: Mavis (Greta Grosch), Vivian (Janet Paone), Karin (Dorian Chalmers), along with Pastor E.L. Gunderson (Tim Drake). Produced by Curt Wollan, Troupe America, Inc., “You Smell Barn” is written by Greta Grosch, with music by Dennis Curley; lyrics by Greta Grosch and Dennis Curley; and inspired by the book Growing Up Rural: You Smell Barn by Janet Letnes Martin and Suzann Nelson.